Cheaper ebooks may soon hit retailers like Amazon if a European Union antitrust commission accepts placating offers from Apple and four major publishers. 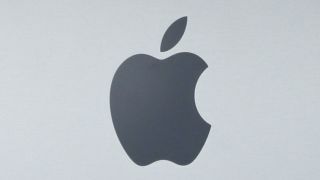 Apple and the publishers - Simon & Schuster, HarperCollins, Hachette Livre and Verlagsgruppe Georg von Holtzbrink, owner of Macmillan - have placed proposals before the commission in an effort to end an antitrust investigation into exclusive sales deals, a source told Reuters Friday. Each has an agreement with Apple to sell online versions of their publications at a discounted rate on iTunes with the contingency they can't offer the lower rates to other retailers. While Apple enjoyed lower rates no other retailer could extend to their customers, it also took home 30 percent of each sale's profits. Under the new proposals, the publishers would offer other retailers discounted rates, similar to what Apple has received, for two years. In return, the EU would end drop its antitrust investigation. The commission, concerned over restricted European competition, launched its investigation earlier this year. According to Reuters, the commission said in April all five companies had put offers on the table to avoid penalties and halt the inquiry. The fines could've reached 10 percent of each business's total global revenue. It's unclear whether these concessions are part of April's offers or if the deals on the table extend beyond European boarders. Another publisher, Penguin, is also under investigation but the source didn't name it among the companies submitting proposals. The EU commission is reportedly now taking the proposals around the industry to gather whether the concessions satisfy the allegations. If the industry offers their consensus, the commission will conduct a formal market test that could lead to an end to the investigation, the source said. No one at HarperCollins was available for comment. TechRadar has reached out to Simon & Schuster, Apple and Amazon for comment and will update this story if and when they respond. HarperCollins, Simon & Schuster and Hachette offered similar proposals in a lawsuit settlement with the U.S government. The U.S. brought the suit amidst price-fixing allegations and exclusive deals with Apple.